INSPIRASI@AMP provides marriage preparation and enrichment for minor Muslim couples, where at least one party is below the age of 21 at the point of marriage. Starting from July 2016, the INSPIRASI programmes have been extended to Muslim young couples, where grooms are aged 21 to 24 years old. Conducted in collaboration with the Registry of Muslim Marriages (ROMM), the couples are required to attend premarital consultation and marriage preparation workshops, which include the Young Couples Programme and Parents Support Group. The young couples will be assessed based on their readiness for marriage. The session will also identify and address any potential issues that may affect the couples’ marriage, as well as discuss post-marriage plans. Counsellors will also assess the level of functional support from the couples’ parents. The couples and their families will then be introduced to the marriage preparation workshops, as well as other programmes and services provided by INSPIRASI@AMP, to support them in their marital journey. The marriage preparation workshops, which include the Young Couples Programme, is aimed at enabling these young couples to build a strong and stable marriage, as well as become responsible parents. Problem-solving, life skills and moral values are imparted to the couples in an effort to strengthen family ties. Parents of the young couples are also equipped with the skills and knowledge to help and support their newly-married children through their marital journey. The sessions will review the expectations of in-law relationship, identify roles and responsibilities of parents and parents-in-law, as well as identify ways to provide the young couples with support and encourage independence. Call the AMP Helpline at 6416 3960 or 6416 3961 to make an appointment for assessment. 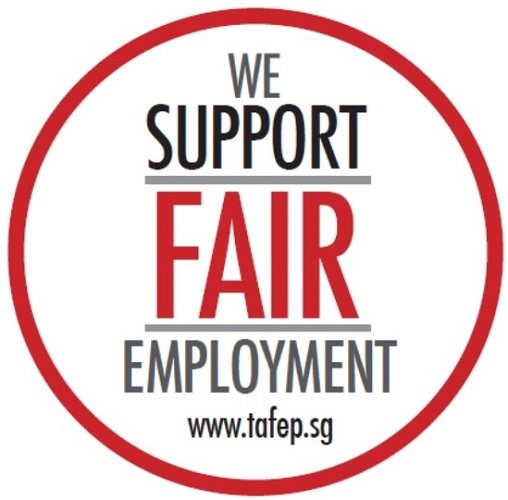 For further enquiries about the programme, email to helpliners@amp.org.sg. 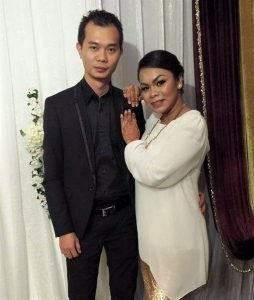 Muhd Khairul Sufian Ali and Siti Rindrawati Kamari approached AMP’s Marriage Hub in 2006 when they were planning to get married. As the couple was below 21 years old, they were referred to INSPIRASI@AMP for the Young Couples Programme (YCP). As part of YCP, they attended the premarital consultation session, followed by marriage preparation workshops. Following their marriage, they also participated in the marriage enrichment activities organised by Club INSPIRASI. The early stage of their marriage proved to be a challenging one. Due to different upbringings, they had many misunderstandings and miscommunication on top of issues with in-law relationships. While waiting for their own home, they had to learn to adjust and manage the challenges of living with their in-laws. In addition, they often faced financial difficulties as the couple depended solely on Khairul’s allowance as a national serviceman. Rindra started working only later on. Through Club INSPIRASI post-marriage programmes, the couple learnt necessary skills and knowledge to manage challenges and strengthen family life. The marriage enrichment workshops helped the couple to have realistic expectations of each other and communicate effectively, as well as facilitated their emotional connection and strengthened their bond. Participating in activities such as marriage retreats provided them with the space to reflect on the challenges they faced in their marriage. This, in turn, helped them to develop a deeper appreciation for each other and increased their commitment towards their marriage. Currently, Khairul works as an export officer in a logistics company, while Rindrawati is a senior coordinator in the same industry. They are now financially stable, living independently and blessed with three children. They are grateful for the programmes and support provided to build a stable family.